PUBLISHER: Torchflame Books, Durham, N. C.
SUMMARY: This is a biography of three generations of American missionaries to foreign countries. 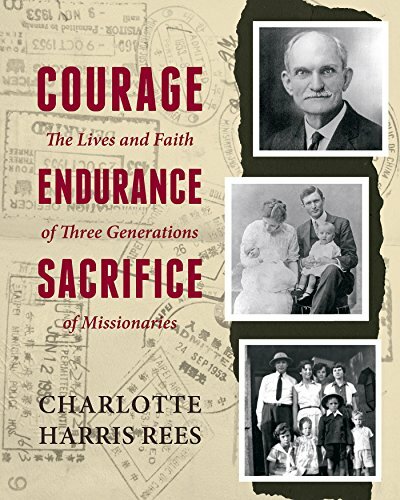 Starting in 1875 and covering a span of almost 100 years, three missionary families exhibited bravery, endurance, and sacrifice when their very lives were at risk. William David Powell and his wife, Mary Florence Mayberry Powell, were missionaries to “Wild West” Texas then Mexico – going into Mexico right after another missionary was murdered. In the period 1910 -1947 their daughter Florence and her husband Hendon M. Harris, were missionaries to Kaifeng, China. They went to China as newlyweds not long after many missionaries in China were killed during the Boxer Rebellion. They remained in Kaifeng during a Chinese civil war and numerous trying times including Japanese occupation of their city when under Dr. Harris’ leadership foreign missionaries in their city sheltered 14,000 Chinese women and children in their compounds. As a foreigner born in Kaifeng, Hendon, Jr. was viewed by the Chinese as a family member, a “son of the soil.” Later at the end of the Korean War he was invited by the UN to go to Pan Mun Jom, Korea to speak to the Chinese prisoners of war, inviting them to go to Taiwan to live rather than back to China. Most of the POWs went to Taiwan for which Harris was commended by Vice President Nixon. BACK STORY: To date I have 5 books pointing to ancient Chinese exploration in the Americas. My research on this subject is based on an ancient Asian map found by my father in 1972. My father, Dr. Hendon Harris, Jr. one of the three missionaries mentioned above, then wrote a book propounding his ideas. However, by the time he died in 1981 he had not been hugely successful in convincing others. For many years I was among the skeptics of his theories. In 2003 after reading another author’s book stating that Chinese reached America before Columbus, I decided to pick up Father’s research, just to prove for myself whether he was right or wrong. At that time I was amazed at all the various people who quoted my father’s obscure text. Among them was a professor emeritus, Cyclone Covey, PhD from Stanford, who offered to mentor me in my research. This professor’s initial request was for me to write about my father – the man who on seeing the strange Asian map immediately understood it. After being convinced myself of Father’s thesis, I decided that before I wrote about him, that first I had to let his findings be known so that people would want to read his biography. As a “missionary kid” myself I understood Father’s unusual way of thinking. On the outside he looked Caucasian, but by being China born, he had a sincere love for and understanding of Chinese people. His thought process was neither Asian nor Western, but rather a combination of best of the two – thus a third culture – as some refer to such a phenomenon. It was his Asian upbringing and knowledge of the Chinese language and legends which allowed him to understand the strange map when he first viewed it. The years of his family’s courage, endurance, and sacrifice under which he had been raised affected him profoundly. It gave him a different way of viewing the world, but also the bravery to stand up to those who would attempt to shout down his adventurous life and findings. Why this title? I struggled for months over the title but could find nothing to suit. Dr. Lee, the retired Chief of the Asian Division of the Library of Congress has for years been an encourager of my research and books. With fear and trepidation I gave him my manuscript to read. It was in the words of his glowing endorsement of this book that I found the title. Why would someone want to read this? Folks have described this book as easy reading, yet at the same time one learns facts and history as he reads. This is an interesting story of an unusual family. I researched not only other biographies and numerous first person accounts but also related history books. When I did not entirely understand the context of each period, I researched then explained that so that others could comprehend it as well. For many, other cultures are mysterious. However, some of the mystery vanishes when one knows how those people think and what their history has been. Even knowing how our relatives acted and reacted in the past gives us insights of them. To tie in history with humor filled and/or suspenseful family narrative brings past eras to life. This book was written specifically for those who have been following my research regarding ancient Chinese exploration in the Americas. Some had asked me to write about my father – the man who recognized the meaning of the old Asian map. However, it can be read completely independent of that. AUTHOR PROFILE: Charlotte Harris Rees has appeared on television and National Public Radio in the United States and Canada and in numerous international news articles. She has given many presentations including at the Library of Congress (Washington, DC); The National Library of China (Beijing); La Trobe University and University of Adelaide, (Australia); Stanford University; University of London; Tsinghua and Peking Universities (Beijing); University of British Columbia; University of Hawaii; Portland State University(Oregon); Zheng He Symposiums (Melaka, Malaysia, Washington, DC, Victoria, BC, and Shanghai); Macau University; the University of Maryland; Seton Hall; the Chinese Historical Society (Los Angeles); Switzerland; and Royal Geographical Societies (London and Hong Kong). Previous books by Rees include Did Ancient Chinese Explore America? My Journey Through the Rocky Mountains to Find Answers (2013), New World Secrets on Ancient Asian Maps (2011, 2014), and Secret Maps of the Ancient World (2008, 2009). In 2006 she published an abridged version of her father’s, The Asiatic Fathers of America: Chinese Discovery and Colonization of Ancient America. She wrote or contributed to 32 articles. Her books are listed by the World Confederation of Institutes and Libraries for Chinese Overseas Studies (WCILCOS) and are endorsed by Dr. Hwa-Wei Lee, retired Chief of the Asian Division of the Library of Congress. 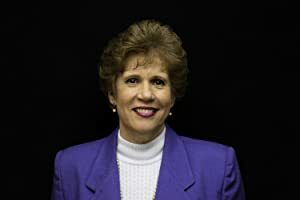 Mrs. Rees is an independent researcher and a graduate of Columbia International University. In1972 her father, Dr. Hendon Harris, Jr. (1916-1981), found in an antique shop in Korea an ancient Asian map which led him to write a book of almost 800 pages that contended early arrival of Chinese to America by sea. In 2003 Mrs. Rees and her brother took the Harris Map Collection to the Library of Congress where it remained for three years while being studied. Dr. Cyclone Covey, History Professor Emeritus, Wake Forest University, (PhD from Stanford), who for over 60 years studied the early history of America and the Chinese connection, was her research mentor from 2003 until his death in late 2013. Dr. Hwa-Wei Lee continues to advise her. Rees’s father, Dr. Hendon M. Harris, Jr., a third generation Baptist missionary, was born in Kaifeng, China. As a child Rees lived for four years in Taiwan then later in Hong Kong where her parents served. In recent years she made several trips to China. Her home is in Virginia with her husband, Dave. Her web site is http://www.AsiaticFathers.com. Author’s comments: As I researched I was amazed at characteristics in myself that I saw in my parents, grandparents, and great grandparents. I hope that their lives will inspire others, as they have me. SAMPLE CHAPTER: The Intro and beginning of this book can be found on my web site http://www.AsiaticFathers.com and also on Amazon.com using the “Look inside the book” feature. OUTLETS: Liberty University’s Barnes & Noble (Main Street TRBC), author’s web site, and through Amazon.com, Barnes & Noble, and most major book sellers. PRICE: $19.99 in the US. Price varies in other countries. CONTACT THE AUTHOR: Contact the Author: website http://www.AsiaticFathers.com, e-mail HarrisMaps@msn.com.